We will assume you are an open minded, innovative, rational business leader who, after having researched a bit the story behind robotic process automation and the forecasts of market size development over the next few years, has decide that indeed, RPA is the new must of competitive businesses. It would then make sense that you want to learn more about it. And practical as you are, you want to first learn its functional nuts and bolts: what can you actually do with it? Below you can find a list of 10 robotic process automation use-cases. The list is far from exhaustive - we merely picked some processes in areas that most companies deal with. We're talking about data replication, invoice preparation and delivery, smooth update of Customer Relationship Management - CRM, etc. Sales are a crucial, paradigmatic aspect of all sorts of businesses, irrespective of size or domain. Just think a moment about the monotonous task of keeping data consistent across CRM and accounting records. Ok, you can now let go of the thought, we don’t want to spoil your mood for the rest of the day. The good news is that software robots can handle these operational activities on their own. For instance, automation can make invoices available to customers much faster than manual performance. A highly desirable effect of this is earlier customer payments, which also improves the cash flow, and consequently - customer satisfaction. More generally, the need for error-free sales operations is justified by the desire to avoid customer complaints and dissatisfaction, which are quite often the result of clerical mistakes. This subdivision of the procurement process can be considered the epitome of inter-department work, since it is inherently based on the interaction between the purchasing department and the accounts payable department. “Automation in a system that is essentially characterized by integration of various systems? !” Indeed, no need for raised eyebrows. Front-end software robots can actually do this proficiently, thereby ensuring that transactions are well aligned by consistent data. When automated, this process too leverages the integrative capacity of software robots. Portals are a vital mediator between organizations and suppliers. The plural is crucial in that it highlights the usefulness of data integration. The idea is that bots can be used to link all your portals, providing employees direct access to compiled data. Data entry is the nightmare of monotony for your employees - we can agree on that, right? Well, even though RPA can't save you of all the trouble, at least it can alleviate it. Because it has the capacity for basic pattern recognition, and because it can convert pretty much any kind of text into editable and searchable machine-encoded text, it drastically reduces the need for manual data entry. Therefore less errors and faster results, therefore less exhausted and bored employees. The main objective of accounting records reconciliation is that your records be error- and omission-free. By comparison of documents, e.g., the cash book and the bank statement, the procedure is meant to ensure the reliability of the records. Software robots can perform data extraction from bank statements (see (4) above), thereby augmenting the likelihood of accurate comparisons. By finding and approving matching orders, bots can also reconcile purchase orders with delivery notes; by so doing, they ensure compatibility of orders and deliveries. Software robots can keep track of fluctuating prices. Given (4) above, bots can automatically extract data for best pricing. Relevant data comes from a variety of sources - personal records and files, operational performance datasheet, etc. - which ought to be put together and analysed consistently. More, the end results must be passed on in due time to business executives. This involves a lot of careful processing, with attention to a plethora of details. For humans, this is time-consuming and nerve-wracking. Software robots, on the other hand, can do it fast, correctly, and without demands for stress bonuses. No one can deny the tediousness of the payroll function, and, to make things even worse, the importance of an error-free process. You would probably not want a face to face meeting with one of your managers who has been paid the salary of a janitor who happens to have the same name. We detect a skeptical frown on your face as you read: “What about modern payroll software? !” Well, especially if your company relies on legacy systems a lot, embracing an up-to-date payroll software might not come so easily. Software robots can then offer a salutary helping hand to automating the process. Much disliked as they may be, regular reports are necessary for functional businesses, so that both the executives and the lower-level employees can keep track of, and align with what goes on in the company. Software robots are able not only to put necessary data together in order to prepare these reports, but also to circulate them so that they promptly reach everybody. It is not at all hard to see how this might ease the burden of compliance, the perfect example of “everybody hates it” kind of necessary activity. Customer service is one of the most complex activities in a company, so we are certainly not saying that it could be left entirely “on the shoulders” of robots. 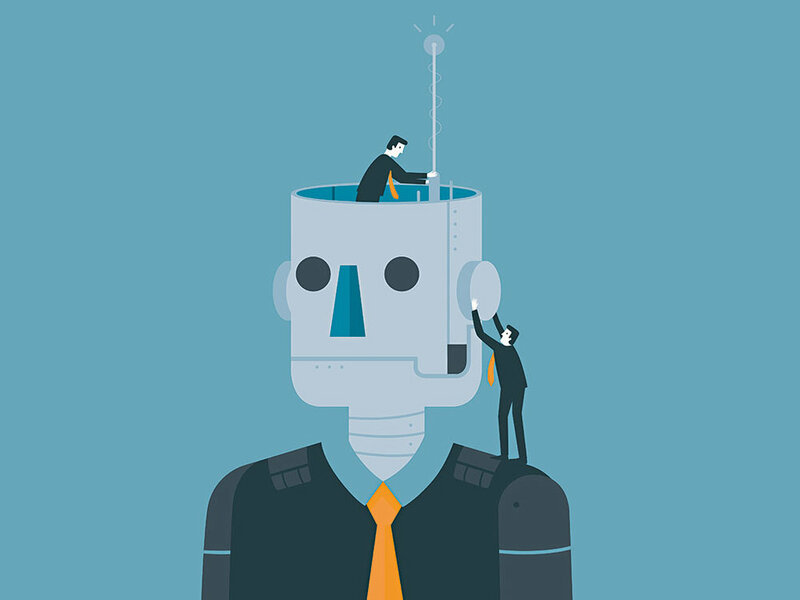 However, man - machine collaboration might greatly improve customer satisfaction, while at the same time making the task less stressful for your employees. The simple, repetitive, high frequency tasks (e.g., making customer profiles or billing data available, updating customer profiles) can be automated, thereby reducing customers’ waiting time and allowing your employees to take most advantage of their human specific communication skills. The list above can be seen as a more applied description of the benefits of robotic process automation. Those activities in commercial, financial, support, or customer service functions do not exhaust the RPA application areas. However, we believe that they are at least sufficient to give you a flavour of what software robots can actually do (you can also find a word on that in our article about RPA in 2018). So you should now be better equipped to allow your rational mind to take action towards RPA implementation. Older PostRPA in 2018: What is Robotic Process Automation and How Can It Help You?